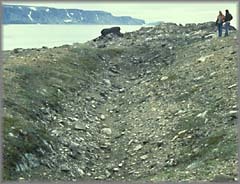 fter assays of the small sample of ore brought back from the Arctic in 1576 suggested a high gold content, future expeditions refocused on mining large quantities of that ore from Kodlunarn Island and other sites in the area. 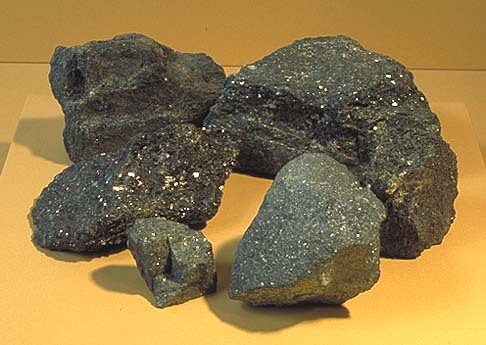 Two types of ore were tested: "black ore" the bulk of what was retrieved, and "red ore" from a single location. Most of the assays showed a silver content even higher than that of gold. But it was the gold that most interested the Elizabethan investors. Since mining became the driving goal of the larger expeditions, and since the failure of the ore to yield the expected gold was responsible for the financial failure of the venture, understanding the nature of the ore is one key to the history of the Frobisher voyages. One focus of recent investigations, led by geologist Donald Hogarth, has therefore been to locate samples of the ore and subject them to modern scientific testing. 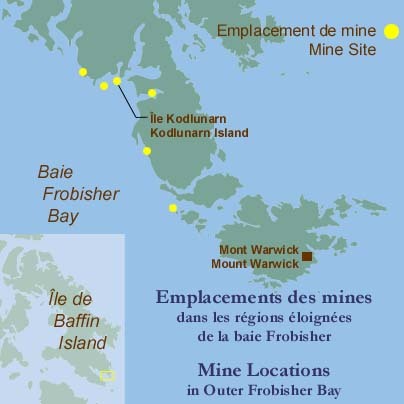 Frobisher's teams are known to have extracted ore from at least ten sites. The two surface mines on Kodlunarn Island are the best known. One, the "Ship's Trench", was probably opened in 1577 and produced 158 tons of ore. The second, the "Reservoir" trench, was probably mined in 1578, producing only 65 tons of hard rock extracted with great difficulty. 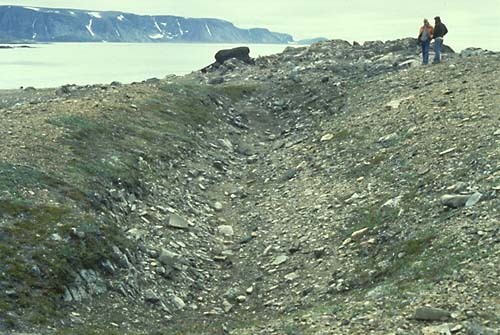 The most productive mine, named after the Countess of Sussex, was on the Baffin Island mainland. Working the site for about two weeks, 60 miners extracted 455 tons of ore. 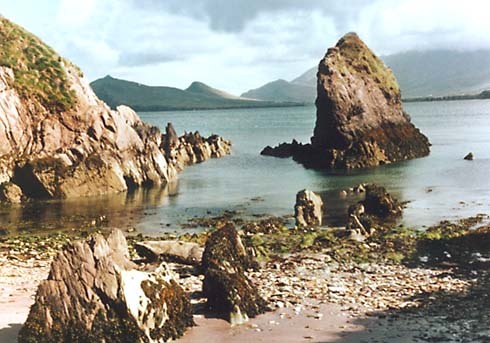 Lying between these two sites was a third, on Newland Island. It was just a small excavation, from which only 5 tons of ore were taken in 1578. The locations of the other mines are known only a pproximately - the precise sites have not been rediscovered. One of the ships of the 1578 expedition, the Emanuel of Bridgwater, probably damaged by ice and storms in the Arctic seas, had difficulties on the return journey and barely managed to reach the Irish coast. 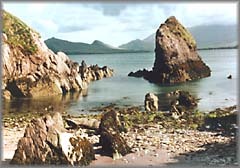 Its captain was forced to beach the ship in the bay of Smerwick. The crew managed to unload about 100 tons of the ore it was carrying, leaving some still in the wreck. The ore from the 1578 expedition was taken to a smelting works at Dartford specially constructed for it. After it was found that the ore was worthless, it was discarded and used by locals for building material. 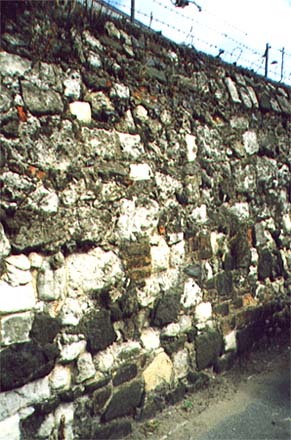 Some can still be seen today in the boundary walls around the site of the manor house. Scientific tests were made on 66 samples of "black ore" from these various locations. Except for two samples from Dartford, the gold content was found to be extremely low - hundreds or even thousands of times less the amount claimed by some of the Elizabethan assayers. Half the samples had less gold than any average piece of rock would be expected to contain. Hornblende was the main mineral identified in the black ore samples; feldspar, pyroxenes, mica, and spinel were found in lesser quantities. These analyses lead us to suspect that either incompetence or fraud may have been factors in the Elizabethan assays.